Hydroponics is an alternative gardening practice of growing plants without soil. Instead of soil, gardeners choose to use other mediums that adequately provide water and nutrient support for the plant, such as sphagnum peat moss. The moss is able to sufficiently retain water and minerals for the plant while providing drainage and root support. Hydroponics typically works by releasing a nutrient-rich solution into a growing medium, such as sphagnum peat moss, where the plant is located. The plant's nutrients can absorb the nutrients, while the solution drains into a reservoir. Gardeners use a pump to recycle the solution and return what nutrients the plant has missed to the container. Sphagnum peat moss is an effective soil alternative due to its sponge-like consistency that allows for the absorption of large amounts of water. As a soil conditioner, peat moss can be used to improve the aeration and water retention of the soil, considerably improving plant growth. 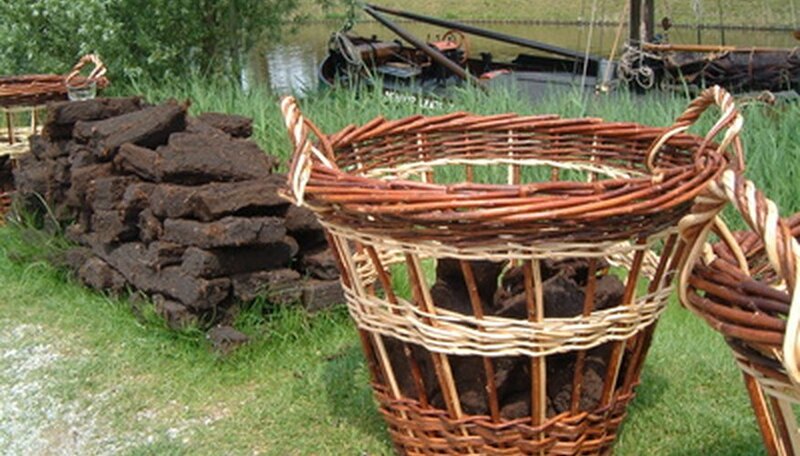 Gardeners can use sphagnum peat moss to grow plants in weaved containers that normally wouldn't allow for soil. Also, peat moss can effectively plug up lattice or net-pots used in hydroponics, slowing the drainage of the nutrient solution as it flows into the reservoir for recycling. Sphagnum peat moss has the considerable disadvantage of decomposing over time. Large particles can lodge themselves into the hydroponic setup and cause damage. Also, as the moss decomposes, it can become host to environmental threats (such as fungal spores), which will lead to disease for the plant. Before applying sphagnum peat moss to the container for use in hydroponics, soak the soil alternative in water for at least one hour. This will allow the medium to loosen for the absorption of nutrient solutions for the plant.